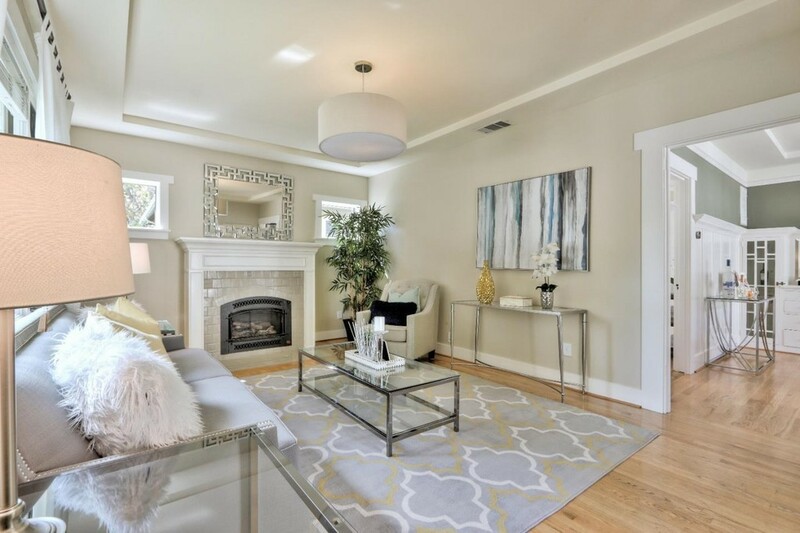 This Craftsman home in San Jose, CA, is proof that a little bit of work can pay off in a big way—and that staging a home really does matter when it comes to selling. These sellers bought the three-bedroom, 2.5-bathroom home in 2013. After making mostly small cosmetic changes, they were able to sell it five years later for nearly $600,000 more than they paid (and more than $200,000 over asking price). Even better, it closed just one month after they listed it. So how did they make so much profit without a total renovation? According to our experts, it’s all in the details. 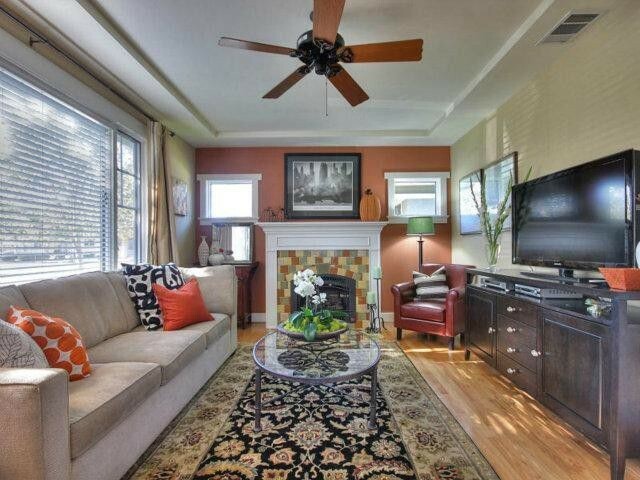 The living room has good bones but a drab color palette. 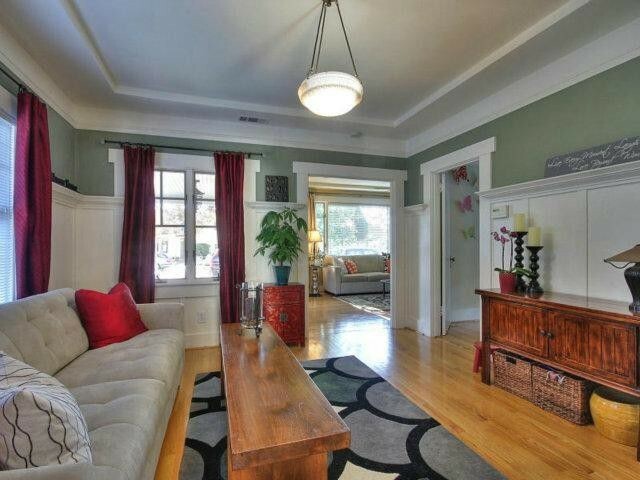 The refurbished living room is light and feels more spacious. The sellers knew they were working with a space that has great bones, from the hardwood floors to the fireplace. And after a few key changes, the living room feels completely different. “The color on the walls took the room from a dark den to a bright, beautiful entertaining space,” says property stylist Karen Gray-Plaisted of Design Solutions KGP. The fireplace underwent perhaps the biggest change with new paint and tile, and Gray-Plaisted picked up on it right away. “Updating the fireplace tile highlighted this key feature. It’s exactly what you want to do when selling,” she explains. 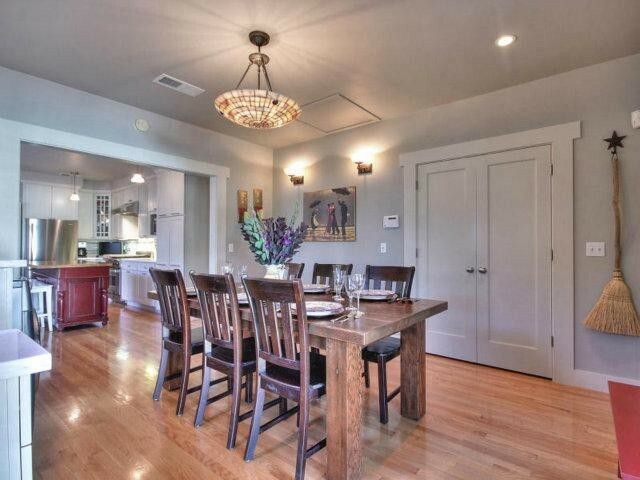 Previously this space functioned as the dining room. The sellers thought it made more sense to stage this area as a den. No, you’re not seeing things. 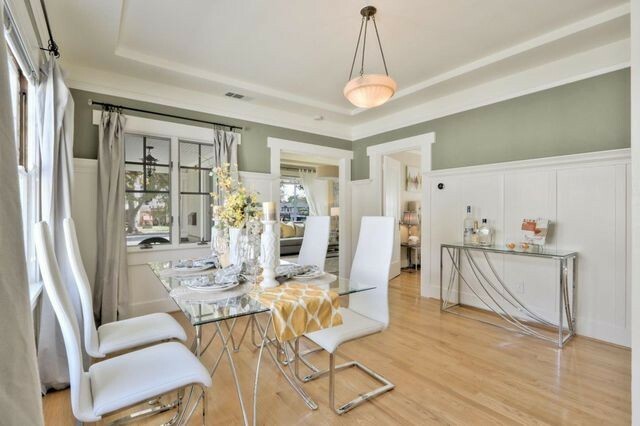 After the renovations, the sellers decided to flip the dining room and den. It’s a genius move because the current den area appears to be more spacious and farther away from the front of the house. And while they did bring in more contemporary furniture, there’s actually a lot they didn’t touch. That just goes to prove that sometimes, it doesn’t take a lot of effort to completely change the feel of a room. Before the revamp, this room functioned as the den. The new dining room is filled with natural light. What was previously the den now functions as a full dining room. Once again, the paint and fixtures stayed the same, but simple swapping out of furniture makes the room feel completely different. This new arrangement means the dining room is adjacent to the living room. So if the new owners host a dinner party, guests can seamlessly transition from cocktails to dinner without having to walk through the entire house. Genius! “The light and neutral fabrics and clean, tailored silhouettes are very complementary to the style of this home and make it feel more modern,” Hodges says. 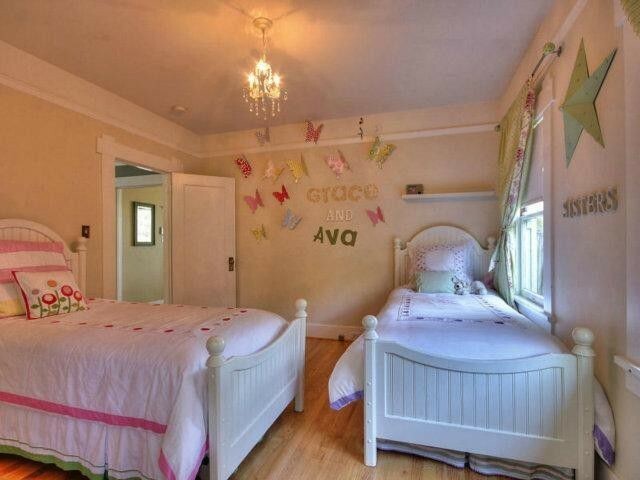 The bedroom was decked out for two young sisters. 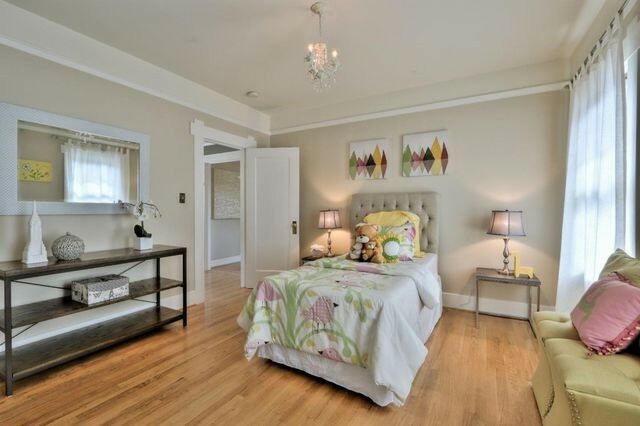 This is a more mature version of the bedroom. Much like the rest of the house, the bedroom got very few cosmetic updates, yet it’s been completely redesigned—and much less crowded. 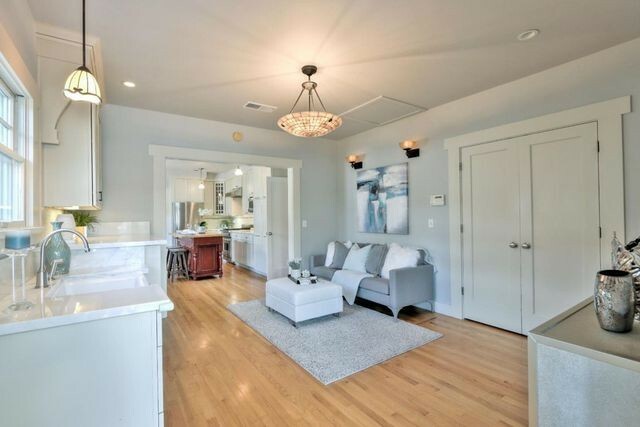 Gray-Plaisted also believes that removing the adolescent decor and replacing it with more grown-up furnishings made a huge difference for the marketing of the property.